Comfrey is the common name for the herb Symphytum. Symphus in Latin means ‘growing together of bones’ while phyton means ‘plant’. This has lead to comfrey also being referred to in herbal texts as ‘knitbone’. 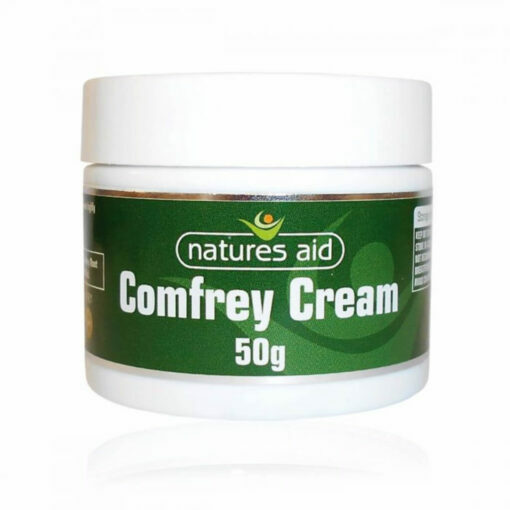 Comfrey has been cultivated since at least 400BC. The Greeks and the Romans used it widely. Its use by Japanese herbalists also dates back over 2000 years. The roots of the comfrey plant contain Allantoin and Rosemarinic Acid, two compounds which are credited with many of the suggested actions of comfrey. 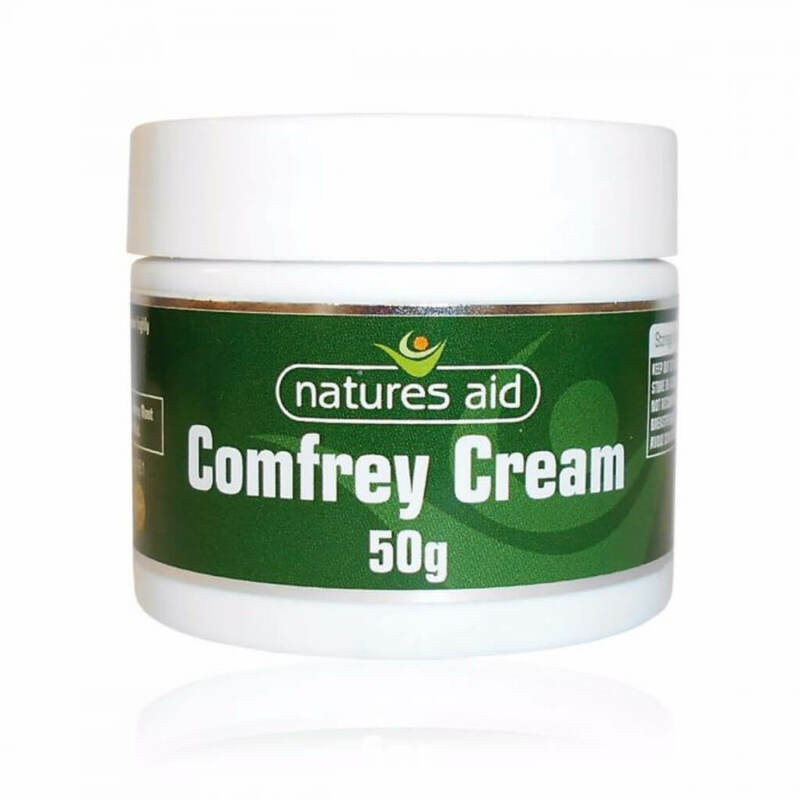 Natures Aid Comfrey Cream is a natural rubbing cream which has been carefully blended with added Allantoin, one of the components of Comfrey which has excited much research over the years. This helps to ensure to ensure optimal content of this constituent.